This garden is a typical large town house garden – long and relatively narrow. The design I was to follow broke the garden into five sections, with an extended parking area at the bottom. 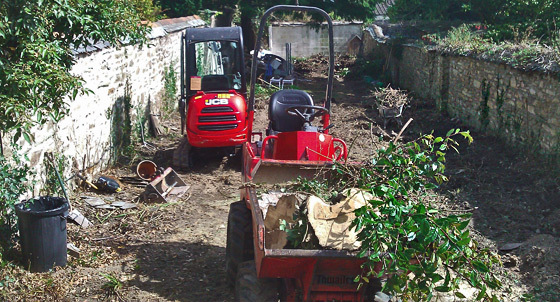 Before I could begin work on the garden there was an old garage that had to be dismantled and removed. 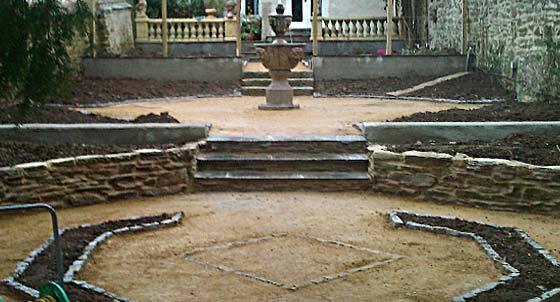 The garden was on a gentle slope and the design required me to level each new section, so the use of a small digger and dumper were required. I started next to the house and worked my way down, completing each section as I went. This job proved to be a challenge as it was a very wet year but the overall result was worth it! Half way through ground clearance. 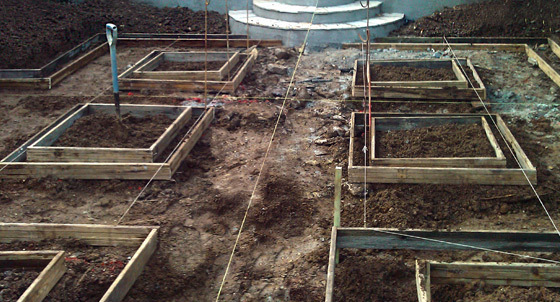 Laying out the paths and raised beds.